Joel Feder March 12, 2018 Comment Now! Crossover SUVs provide practicality for daily adventures, but sometimes a touch of performance is desired. That’s where the 2018 Audi SQ5 comes in. It’s not a pudgy family truckster flopping into corners, nor is it a track slayer. 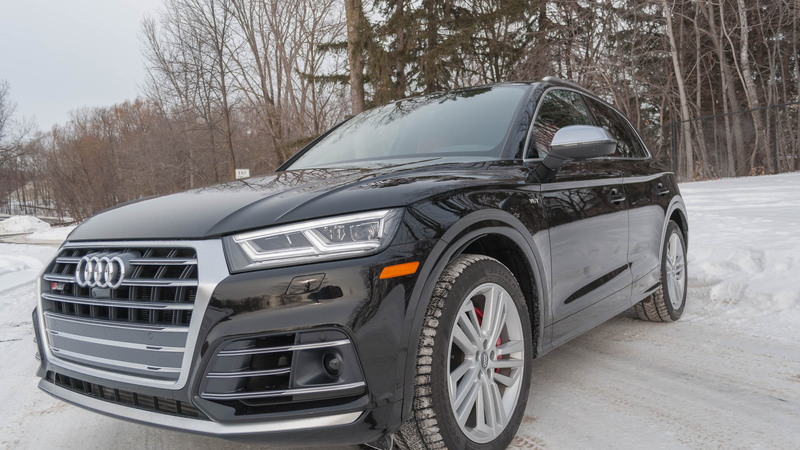 The 2018 Audi SQ5 is a compact crossover SUV with special sauce. 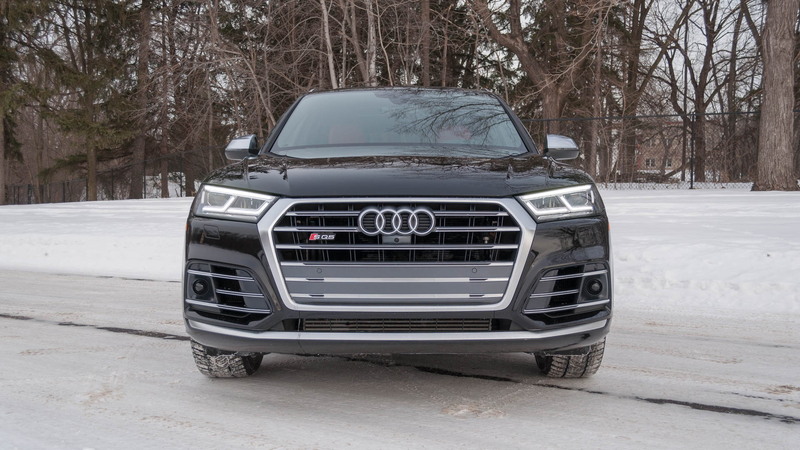 The Audi SQ5 is powered by a turbocharged 3.0-liter V-6 it shares with the S4 and S5, but it sounds different. Upon starting the SQ5 the engine gives a little bark and then settles into a burble. The sound? It’s a cross between the German automaker’s turbocharged inline-5 and the 2.7-liter twin-turbo V-6 from the early 2000s S4. This engine is mated to an 8-speed automatic transmission with a torque converter, but it acted more like Audi’s dual-clutch transmissions. It’s programmed to shift with authority and make clear when it’s swapped gears. 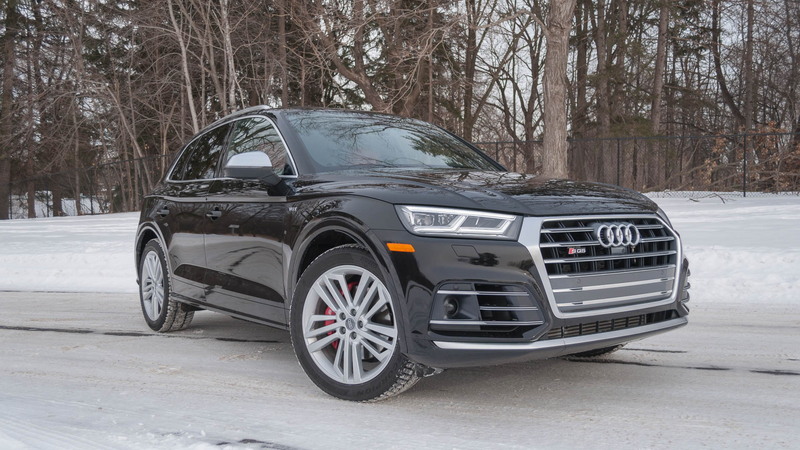 The last-generation Q5 and sportier SQ5 were never known for their packaging, and the new 2018 SQ5 is no different. Put a rear-facing car seat in back and the front seat lacked leg room. Taking family road trips will warrant the larger Q7. Rear seat head room is nothing to write home about, but 6-footers will be fine— just duck on the way in. Like most modern Audis, the SQ5 is a standout with its infotainment setup. The available 12.3-inch digital gauge cluster, dubbed “Virtual Cockpit,” is configurable and can show Google Earth across the entire display. The MMI infotainment controller includes quick buttons to access certain functions, a rotary controller, and a touchpad for entry but no touchscreen. The screen is is 8.3 inches and is attached to the dashboard like a stationary iPad, unfortunately. The larger Q7’s implementation is better with the ability to hide the screen when it’s not wanted at the touch of a button. 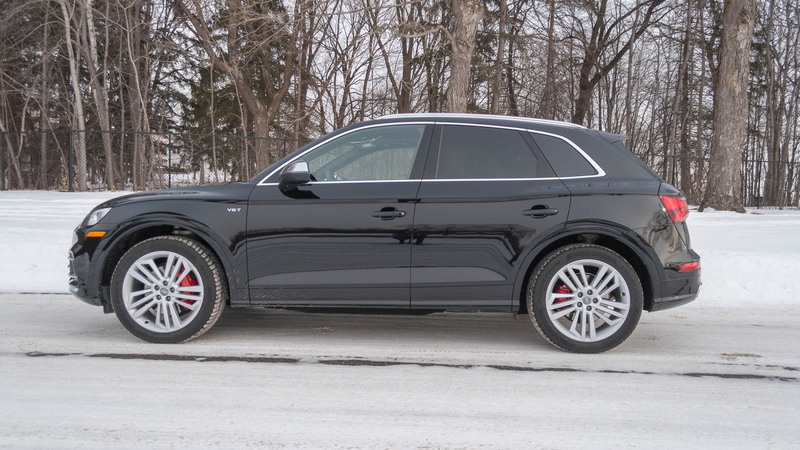 Opt for the S Sport package for $3,000 to get red brake calipers, sport adaptive air suspension, sport rear differential, and a surprisingly helpful feature: a button on the driver side of the cargo area that instantly drops the SQ5s height to make loading and unloading heavy objects easier. 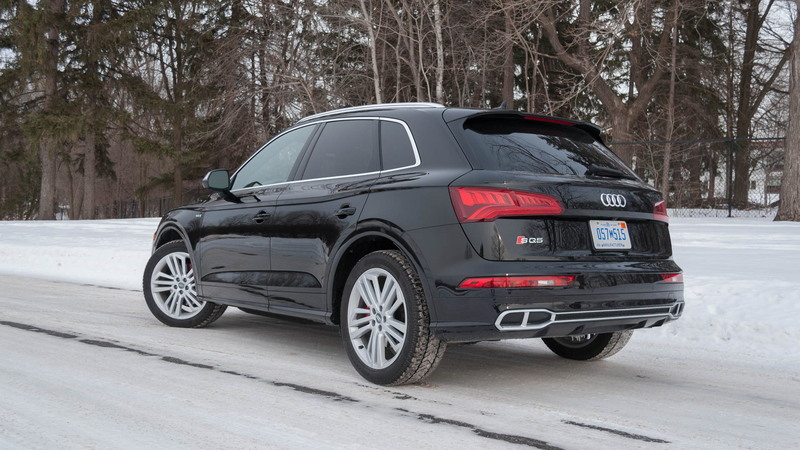 While not the reason most opt for the S Sport Package—the sport rear differential really makes a difference in pulling the SQ5 around corners—it’s a feature that is a nice surprise, and will be a delight for many in certain daily situations. Mash the skinny pedal to summon 354 horsepower and 369 pound-feet of torque. The power is strong, but not overwhelming. With a quoted 0-60 mph time of 5.1 seconds the SQ5 won’t be called slow, except by supercar owners. There’s more than enough oomph to ferry all passengers and gear onboard to the local Starbucks or gym after the morning business meeting. Looking for fast? Find an RS badge packing more firepower.